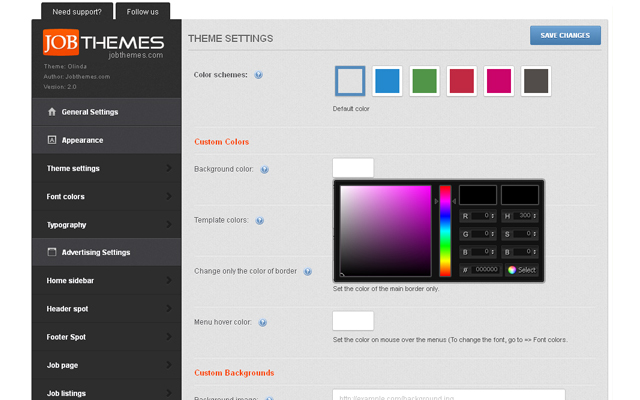 The theme options panel is advanced, You can change almost everything through it. 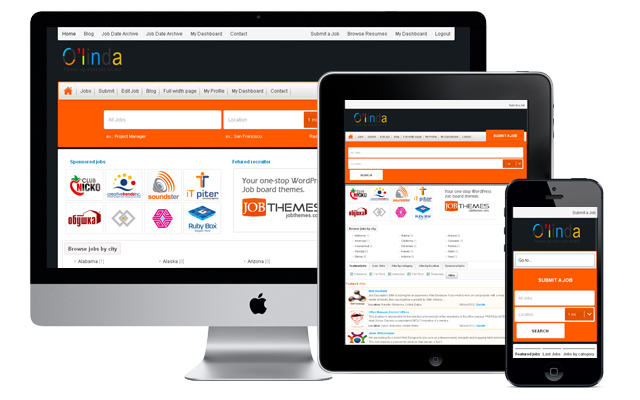 A handsome, versatile theme for recruitment agencies and HR professionals. Olinda is a super clean and modern designed Jobroller child theme. This theme provides all the main functionality you will need to launch a job board in an elegant and professional style. The Olinda theme is highly flexible so changing the color scheme is super simple and for the most parts you won’t need an image editor. The theme is best suited for any job board type. Clean Design | The Design is Fresh & Clean, You will simply love it! Fully responsive | Mobile-friendly websites are no longer a fad – if your website does not adapt to smaller screen sizes, you are missing out! 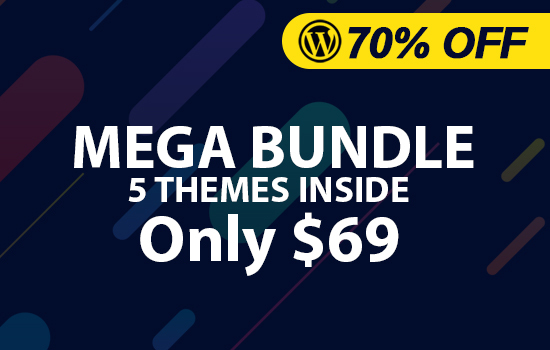 Full package | Works out of the box – just install the theme on Your Jobroller theme, activate and you are ready. 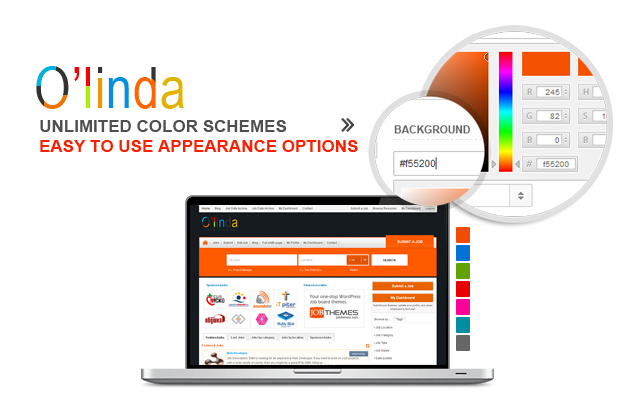 Preset color schemes | 6 predefined skins, switch the look and feel of your website through the theme options. Theme options panel | All theme customization is done through the unbranded theme options panel – no coding knowledge required. Unlimited styles | Make your website truly yours – change the color and font of any element. Olinda comes with integrated Google Fonts – you can choose from over unlimited of varieties. Custom backgrounds | Customize the background of the website – you can choose between a solid color fill, a repeating texture, or a background image. You control the look of your web site. Patterns ready | Wide choice of custom textures included in the theme package. Home page layouts [NEW] | Choose from 2 custom home page layouts,either Including the tabs and sidebars, or make it simple like the default order of jobroller theme. 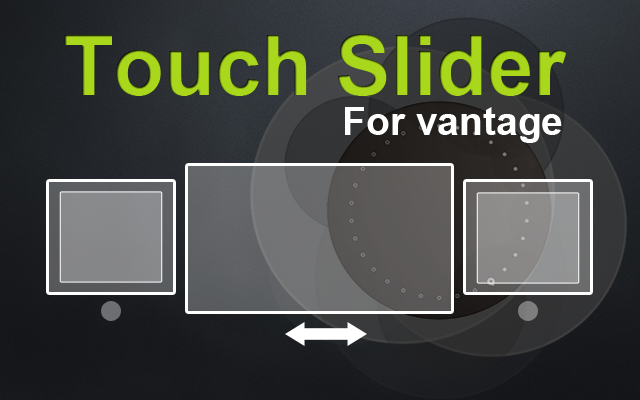 Revolution Slider [NEW] | The most advanced responsive slider with powerful options panel is now included in Olinda with a one click install. Advertising module [NEW] | We create themes that create business.Olinda includes an advertising module to monetize your site. Related Jobs [NEW] | You can enable list of related jobs in the bottom of each job page, This helps you to increase the page views of your job board. 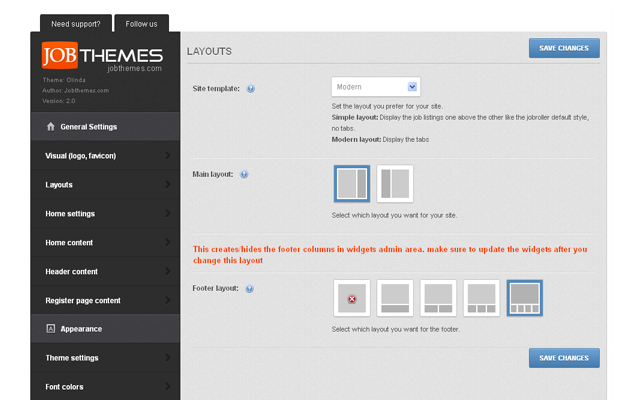 Full width template | You can set any page to be full width (without sidebar). Cross Browser Compatible | We’ve tested our themes to ensure they are compatible with all the modern web browsers like Firefox, Safari, Chrome and Internet Explorer. Compatible with Jobroller 1.7.1 | Olinda is completely compatible with the functions of JR1.7.1. Dedicated support | We take huge pride in our customer support and how it has differentiated us from the competition. We have a support team located 3 countries in just about every time zone and try our hardest to ensure support responses within 24 hours. Suggestions and Feedback | Our best ideas come from your suggestions so we take feedback seriously. If you have an idea or want to make a suggestion please let us know. Your Olinda now is installed and ready for use. Note: After activating the theme, a sub menu would be created for the theme options. We take huge pride in our customer support and how it has differentiated us from the competition. We respond to customers’ questions and provide a limited support only by email. Responding to questions or issues regarding the item and its features. Providing updates to ensure compatibility with new software versions (appthemes and wordpress..). Support for third party software and plug-ins. You read the docs and/or readme.txt file and that You browsed all the options of the parent theme . Clean the cached files and data if you use any cache, security, speedup plug-ins or a server cache system. Then try again. Browse the forums.appthemes.com for relevant answers. Do not post issues’ questions in the comments section. It’s for comments and presales questions only. We always try our best to help our beloved customers with small custom mods, but in case they take a long time and more efforts than editing a couple of php or css lines, we would recommend hiring an independent developer to help you with the task. or simply post it as a request at codeable.io. – Presales questions don’t have to go through the steps above! Email any question. anytime. – VIP* customers receive unlimited and prompt support by email. *: VIP customers are the ones they bought more than 3 of our products. Our replies are always fast, since 87% of our clients are VIP. – Fixed minor css issues. – Revolution slider has been included. – Location custom taxonomy : added. – Header landing area : added. – Compatible with Jobroller 1.7.1. – More improvements and minor fixes. The Olinda template is very easy to use and well laid out. Very adaptable. Best part of it has been the outstanding customer support. Excellent all the way around. good theme, but even better support. A good child theme, with some unique job specific features. Service is very impressive, any problems and help is on hand. Definitely recommended. This child theme has been will built and put together. Also what I really appreciate is the timely manner in which tech support has responded to us when we had an issue with the payment gateway. Good job and thanks. Can you update the theme with the latest version available in http://www.jobthemes.com/my-account because it is still 2.3, and I would like to update. Also, can I have access to the support forum here on appthemes? I can read messages but I can’t post? I will update in a while, but make sure that this version works only with Jr 1.8, so if you dont have that version of jobroller, it wont work with Olinda. 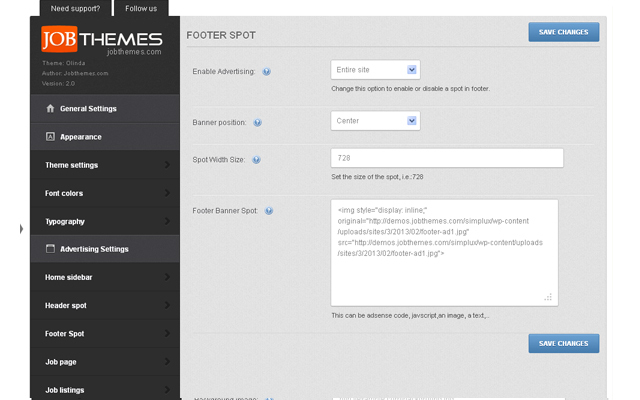 regarding the access to the forums, you have to buy a product from appthemes to get that access. I have bought several appthemes product, but not olinda, so I can’t post on the olinda dedicated forum. my other question was, do you plan to build a new jobroller theme, with flat design, and with the new location taxonomy? that would be great ! You don’t need to worry then, we closed Olinda forums almost one year ago.none can post or reply there ! we are planning to make a very new and innovated child theme, and absolutely, it will be flat and modern. Great! Please, make sure it will have this location taxonomy : it is very useful for Indeed and other jobs search engines. Can you give us an approximative date for this new release? I need a bi-lingual HR recruitment site, is the WMPL plugin compatible with Olinda? WMPL isnt fully compatible with jobroller framework which means it won’t work as supposed to with Olinda. Olinda Job board theme is not working in new registration properly. whenever the password is retyped the password from the main password box is disappears and can only hold 1 character. What is the difference between this and Jobsapp. Is there still support and upgrades for this as I notice you have not answered the last couple of questions. We do support it ofcourse, we answered the recent duplicated questions by email. 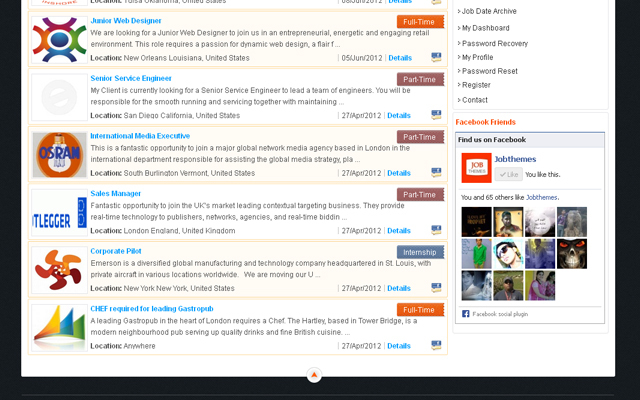 Olinda and jobsapp are the same, only the design changes. and in matter of options, jobsapp is more advanced. I’ve just renewed my Olinda child theme with the Jobroller theme. Now Companies have disappeared from WP dashbord and front end. 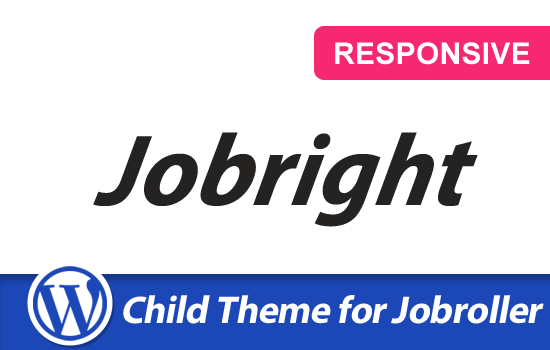 A clean, sleek, and modern designed child theme for JobRoller.